I hope you had a fabulous weekend! I finished up my ceiling (can I get a woohoo! ), worked in the back yard getting my flower beds cleaned out, and today we went to the circus! Easter has come and gone and it is certainly starting to feel like Spring around here. How about where you live? 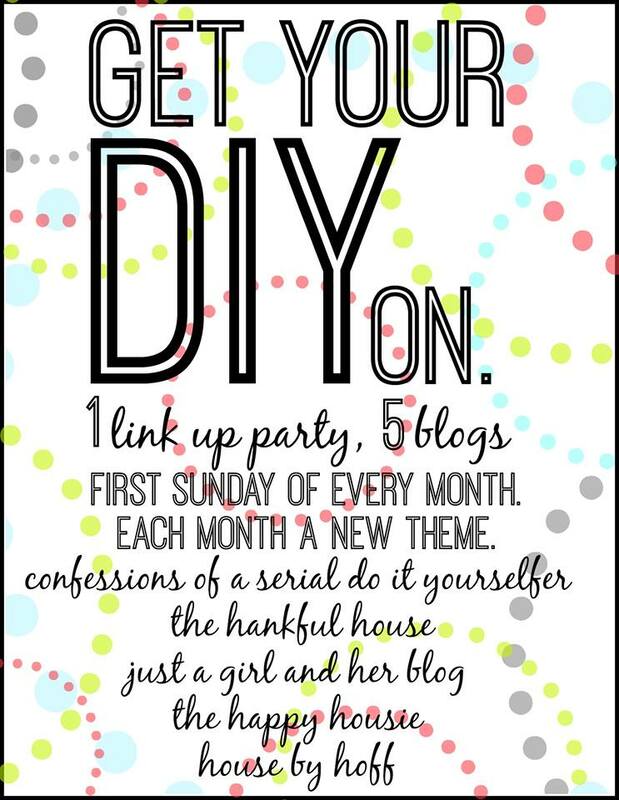 If you are wondering what on earth Get Your DIY On is, it is a “Link Party” where we invite our blogger friends to share their projects with us. Our party runs the first Sunday of each month at 7:00 pm EST. (It’s a little late this month since we decided not to party on Easter.) And it also has a theme! 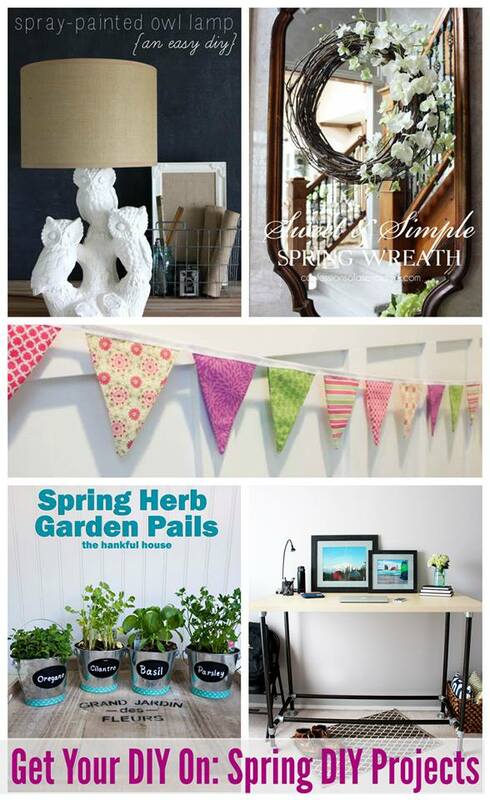 This month we are inviting all of our blogging friends to share what they’ve been DIYing for Spring! The links to all their projects will be below. Enjoy! Now let’s get down to business with some DIY! Before we get started, a few house-keeping items! This one is right up my alley! A thrifty redo for less than $10?? This will be a fun one to see what everyone comes up with! Thanks so much for the party Christy! 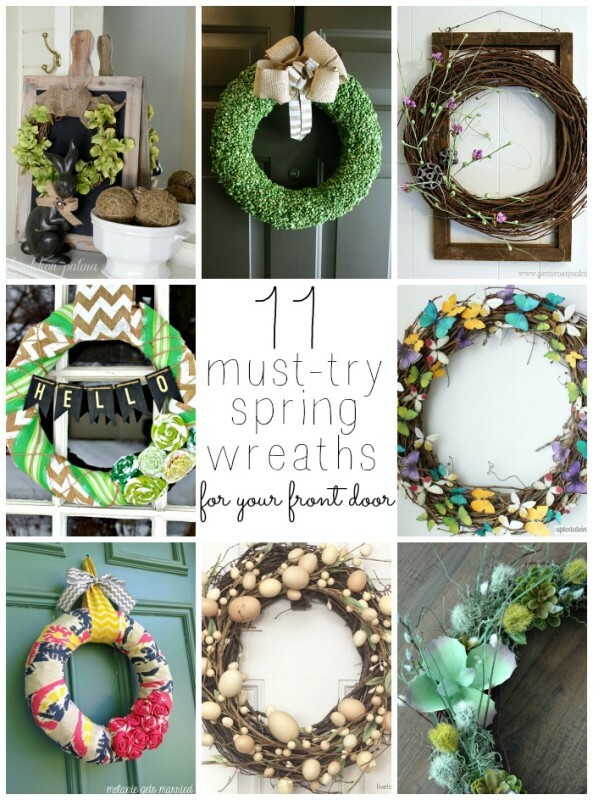 You are the queen of DIY in my book! I visited your neck of the wood twice this past week. Once we actually week TO the beach. Much needed relaxation. Hope you enjoyed Spring Break. Thanks for the linkup! What a pretty blue bookcase! The beautiful paper really makes it! Thanks for sharing! Thank you for the fun! Have a great week! Hi Christy! Hope all is well with you and your family! Thanks so much to you and the ladies for hosting. Hope you have a happy week and a fabulous spring!